Your activity on POPVOX (including comments on bills or posts, your "likes", and the entities or people you "follow") is publicly viewable on POPVOX. You may edit or delete your POPVOX profile or your POPVOX activity at any time. This will affect what is displayed on the public-facing POPVOX website, but the original information may still be available on cached or archived versions of POPVOX, including records maintained at the Library of Congress. Your name, physical address, and phone number are viewable by your lawmaker and their verified staff members on POPVOX. If you edit or delete your POPVOX profile, you change what your lawmaker sees about you on POPVOX. When you weigh in on a bill, proposal or regulation, your comment –– along with your name, address and phone number –– is sent through the official correspondence system for the lawmaker or recipient agency. While you may later delete the comment or your POPVOX account, this information will be retained in the lawmaker or agency's correspondence system, subject to their own data policies. Your email: We use your email address to send you POPVOX news and account information. You may adjust your email preferences in your "Settings" page. Your address and phone number: Congressional offices require this information when accepting the letters we deliver on your behalf. When you move, we keep your past addresses on file so we know which Congressional district you were in when you left earlier comments. Your activity: We may use your activity to suggest other relevant bills or organizations to follow. Your IP address and referral information: When you post a comment on legislation, proposal or regulation, we keep note of how you entered the POPVOX system (for example, from the website of an advocacy organization) and may include that referring information when we deliver your comment to your legislators or the recipient agency. We keep industry-standard log files that record certain non-personal information including your IP address, the URL of the page you are visiting, your browser type, and referring pages. This information is used for diagnostic and aggregate statistics purposes and cleared periodically. User-Provided Information: You provide us information about yourself, such as your name, address, telephone number, and e-mail address if you register for an account with the Service. You may also provide us with your public comments on issues, messages to Members of Congress or government agencies, and messages to other users of the website. If you correspond with us by email, we may retain the content of your email messages, your email address and our responses. We may retain any such User-Provided Information indefinitely, except as noted below. Cookies Information: Cookies are small text files that websites store on users’ computers that are used to keep track of who is who, in the same manner that one draws a ticket number at a market or DMV to hold a place in line. Each time you return to a website, your web browser sends back the cookie (i.e. your ticket number) given to you by that website. At POPVOX as elsewhere, cookies help you log in faster and enable easier navigation through the site. POPVOX uses persistent cookies, meaning they remain indefinitely on users’ computers until the user logs out of their POPVOX account or instructs their web browser to clear any saved cookies. Log File Information: Log file information is automatically reported by your browser each time you access a web page. When you use the Service, our servers automatically record certain log file information. These server logs may include information such as your web request, Internet Protocol (“IP”) address, browser type, referring / exit pages and URLs, pages viewed, and other such information. We retain Log File Information for at most one year, after which point we will retain only aggregate statistics based on the Log File Information such as but not limited to site-wide monthly visit totals. By providing POPVOX your email address, you consent to our using the email address to send you Service-related notices, including any notices required by law, in lieu of communication by postal mail. You also agree that we may send you notifications of activity on the Service to the email address you give us, in accordance with any applicable privacy settings. We may use your email address to send you other messages, such as newsletters, changes to features of the Service, or special offers. If you do not want to receive such email messages, you may opt out or change your preferences in your account settings page. You may not opt out of some Service-related e-mails except by closing your POPVOX account. We delete as much as we can when you ask us to delete your account. But we need to keep some records for a period of time for everyone’s protection. If you wrote your Member of Congress, we keep records of what we’ve sent on your behalf so no one can claim otherwise. Following termination or deactivation of your account, POPVOX may retain your User-Provided Information for a commercially reasonable time as part of our backup and audit procedures. Furthermore, POPVOX may retain and continue to use indefinitely all information (including User Content) contained in your communications to other Users or posted to public or semi-public areas of the Service after termination or deactivation of your Member account. If you choose to use our invitation service to invite a friend to the Service, we will ask you for that person's email address and automatically send an email invitation. POPVOX stores this information to send this email, to register your friend if your invitation is accepted, and to track the success of our invitation service. Your friend may contact us to request that we remove this information from our database at privacy@popvox.com. If you remove information that you posted to the Service, copies may remain viewable in cached and archived pages of the Service, or if other Users have copied or saved that information. We have been informed that as of June 2014, POPVOX content is periodically scraped by the Library of Congress and catalogued as a part of the digital archives of the United States. POPVOX cares about the integrity and security of your personal information. We cannot, however, ensure or warrant the security of any information you transmit to POPVOX or guarantee that your information on the Service may not be accessed, disclosed, altered, or destroyed by breach of any of our physical, technical, or managerial safeguards. Your privacy settings may also be affected by changes to the functionality of POPVOX's distributors, such as social networks. POPVOX is not responsible for the functionality or security measures of any third party. To protect your privacy and security, we take reasonable steps (such as requesting a unique password) to verify your identity before granting you access to your account. You are responsible for maintaining the secrecy of your unique password and account information, and for controlling access to your email communications from POPVOX, at all times. You may, of course, decline to submit personally identifiable information through the Service, in which case POPVOX may not be able to provide certain services to you. You may update or correct your account information and email preferences at any time by logging in to your account and proceeding to your account settings page. You can review and correct the information about you that POPVOX keeps on file by contacting us directly at privacy@popvox.com. Protecting the privacy of young children is especially important. For that reason, POPVOX does not knowingly collect or solicit personal information from anyone under the age of 13 or knowingly allow such persons to register. If you are under 13, please do not send any information about yourself to us, including your name, address, telephone number, or email address. No one under age 13 is allowed to provide any personal information to or on POPVOX. In the event that we learn that we have collected personal information from a child under age 13 without verification of parental consent, we will delete that information as quickly as possible. If you believe that we might have any information from or about a child under 13, please contact us at privacy@popvox.com. We will let you know before we make any serious changes to these terms. You may use the Service only if you can form a binding contract with POPVOX, and only in compliance with this Agreement and all applicable local, state, national, and international laws, rules and regulations. Any use or access to the Service by anyone under 13 is strictly prohibited and in violation of this Agreement. The Service is not available to any Users previously removed from the Service by POPVOX. If you register an account for an organization, company or as legislative staff, you must be authorized to do so by your organization, company or office. You do not need to register for an account to visit POPVOX, but registering for a POPVOX account gives you access to certain additional functionality that we may establish and maintain from time to time and at our sole discretion. We may maintain different types of accounts for different types of Users. If you open a POPVOX account for an organization or congressional legislative staff, or another type of account through which you will represent an organization, company, lawmaker office, or other entity, then (a) “you” includes you and that entity, and (b) you represent and warrant that you are an authorized representative of the entity with the authority to bind the entity to this Agreement, and that you agree to this Agreement on the entity’s behalf. By logging in to POPVOX with a third-party sign-in service such as an O-auth provider, you give us permission to access and use your information from that service as permitted by that service, and to store your log-in credentials and private profile information on that service. You may never use another User’s account without permission. When creating your account, you must provide accurate and complete information. You are solely responsible for the activity that occurs on your account, and you must keep your account password secure (or if you use a third-party sign-in, keep your login credentials at the third-party service secure). We encourage you to use “strong” passwords (passwords that use a combination of upper and lower case letters, numbers and symbols) with your account. You must notify POPVOX immediately of any unauthorized use of your account. POPVOX will not be liable for any losses caused by any unauthorized use of your account. You agree not to engage in any of the following prohibited activities: (i) copying, distributing, or disclosing any part of the Service in any medium, including without limitation by any automated or non-automated “scraping”; (ii) using any automated system, including without limitation “robots,” “spiders,” “offline readers,” etc., to access the Service in a manner that sends more request messages to the POPVOX servers than a human can reasonably produce in the same period of time by using a conventional on-line web browser (except that POPVOX grants the operators of public search engines revocable permission to use spiders to copy materials from Popvox.com for the sole purpose of and solely to the extent necessary for creating publicly available searchable indices of the materials); (iii) transmitting spam, chain letters, or other unsolicited email; (iv) attempting to interfere with, compromise the system integrity or security or decipher any transmissions to or from the servers running the Service; (v) taking any action that imposes, or may impose at our sole discretion an unreasonable or disproportionately large load on our infrastructure; (vi) uploading invalid data, viruses, worms, or other executable code through the Service; (vii) collecting or harvesting any information from the Service, including account names, through which personally identifiable information can be learned; (viii) using the Service for any commercial solicitation purposes; (ix) impersonating another person or otherwise misrepresenting your affiliation with a person or entity, conducting fraud, misrepresenting your identity; (x) creating multiple accounts; or (xi) bypassing the measures we may use to prevent or restrict access to the Service, including without limitation features that prevent or restrict use or copying of any content or enforce limitations on use of the Service or the content therein. Accessing the audiovisual content available on the Service for any purpose or in any manner other than Streaming (as defined below) is expressly prohibited. “Streaming” means a contemporaneous digital transmission of an audiovisual work via the Internet from the POPVOX Service to a User’s device in such a manner that the data is intended for real-time viewing and not intended to be copied, stored, permanently downloaded, or redistributed by the User. You are solely responsible for your interactions with other POPVOX Users. We reserve the right, but have no obligation, to monitor disputes between you and other Users. POPVOX shall have no liability for your interactions with other Users, or for any User’s action or inaction. Except to the extent that User Content expresses support or opposition for a matter on which POPVOX is soliciting User opinions, you agree not to post User Content that: (i) may create a risk of harm, loss, physical or mental injury, emotional distress, death, disability, disfigurement, or physical or mental illness to you, to any other person, or to any animal; (ii) may create a risk of any other loss or damage to any person or property. You agree not to post User Content that (i) seeks to harm or exploit children by exposing them to inappropriate content, asking for personally identifiable details or otherwise; (ii) may constitute or contribute to a crime or tort; (iii) contains any information or content that we deem to be unlawful, abusive, harassing, or threatening to an individual, invasive of personal privacy rights, or profane; (iv) contains any information or content that is illegal (including, without limitation, the disclosure of insider information under securities law or of another party’s trade secrets); (v) contains any information or content that you do not have a right to make available under any law or under contractual or fiduciary relationships; or (vi) contains any information or content that you know is not correct and current. You agree that any User Content that you post does not and will not violate third-party rights of any kind, including without limitation any Intellectual Property Rights (as defined below) or rights of privacy. POPVOX reserves the right, but is not obligated, to reject and/or remove any User Content that POPVOX believes, in its sole discretion, violates these provisions. A. Your User Content and POPVOX's use thereof as contemplated by this Agreement and the Service will not violate any law or infringe any rights of any third party, including but not limited to any Intellectual Property Rights and privacy rights. B. POPVOX may exercise the rights to your User Content granted under this Agreement without liability for payment of any guild fees, residuals, payments, fees, or royalties payable under any collective bargaining agreement or otherwise. 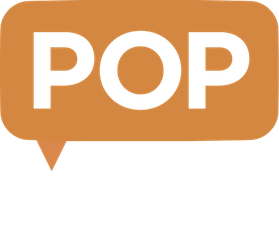 POPVOX takes no responsibility and assumes no liability for any User Content that you or any other User or third party posts or sends over the Service. You shall be solely responsible for your User Content and the consequences of posting or publishing it, and you agree that we are only acting as a passive conduit for your online distribution and publication of your User Content. You understand and agree that you may be exposed to User Content that is inaccurate, objectionable, inappropriate for children, or otherwise unsuited to your purpose, and you agree that POPVOX shall not be liable for any damages you allege to incur as a result of User Content. By posting any User Content on the Service, you expressly grant, and you represent and warrant that you have a right to grant, to POPVOX a royalty-free, sublicensable, transferable, perpetual, irrevocable, non-exclusive, worldwide license to use, reproduce, modify, publish, list information regarding, edit, translate, distribute, syndicate, publicly perform, publicly display, and make derivative works of all such User Content and your name, voice, and/or likeness as contained in your User Content, in whole or in part, and in any form, media or technology, whether now known or hereafter developed, for use in connection with the Service. If the features of the Service allow you to remove or delete User Content from the Service, the above licenses granted by you in your User Content terminate within a commercially reasonable time after you remove or delete such User Content from the Service. You understand and agree, however, that POPVOX may retain, but not display, distribute, or perform, server copies of User Content that have been removed or deleted. The above licenses granted by you in User Content for which the Service does not provide you a means to delete or remove are perpetual and irrevocable. B. Mobile Software. We may make available software to access the Service via a mobile device (“Mobile Software”). To use the Mobile Software you must have a mobile device that is compatible with the Mobile Service. POPVOX does not warrant that the Mobile Software will be compatible with your mobile device. POPVOX hereby grants you a non-exclusive, non-transferable, revocable license to use a compiled code copy of the Mobile Software for one POPVOX account on one mobile device owned or leased solely by you, for your personal use.You may not: (i) modify, disassemble, decompile or reverse engineer the Mobile Software, except to the extent that such restriction is expressly prohibited by law; (ii) rent, lease, loan, resell, sublicense, distribute or otherwise transfer the Mobile Software to any third party or use the Mobile Software to provide time sharing or similar services for any third party; (iii) make any copies of the Mobile Software; (iv) remove, circumvent, disable, damage or otherwise interfere with security-related features of the Mobile Software, features that prevent or restrict use or copying of any content accessible through the Mobile Software, or features that enforce limitations on use of the Mobile Software; or (v) delete the copyright and other proprietary rights notices on the Mobile Software. You acknowledge that POPVOX may from time to time issue upgraded versions of the Mobile Software, and may automatically electronically upgrade the version of the Mobile Software that you are using on your mobile device. You consent to such automatic upgrading on your mobile device, and agree that the terms and conditions of this Agreement will apply to all such upgrades. Any third-party code that may be incorporated in the Mobile Software is covered by the applicable open source or third-party license EULA, if any, authorizing use of such code. The foregoing license grant is not a sale of the Mobile Software or any copy thereof, and POPVOX or its third party partners or suppliers retain all right, title, and interest in the Mobile Software (and any copy thereof). Any attempt by you to transfer any of the rights, duties or obligations hereunder, except as expressly provided for in this Agreement, is void. POPVOX reserves all rights not expressly granted under this Agreement. If the Mobile Software is being acquired on behalf of the United States Government, then the following provision applies. Use, duplication, or disclosure of the Mobile Software by the U.S. Government is subject to restrictions set forth in this Agreement and as provided in DFARS 227.7202-1(a) and 227.7202-3(a) (1995), DFARS 252.227-7013(c)(1)(ii) (OCT 1988), FAR 12.212(a) (1995), FAR 52.227-19, or FAR 52.227-14 (ALT III), as applicable. The Mobile Software originates in the United States, and is subject to United States export laws and regulations. The Mobile Software may not be exported or re-exported to certain countries or those persons or entities prohibited from receiving exports from the United States. In addition, the Mobile Software may be subject to the import and export laws of other countries. You agree to comply with all United States and foreign laws related to use of the Mobile Software and the POPVOX Service. (1)Mobile Software from iTunes. The following applies to any Mobile Software you acquire from the iTunes Store (“iTunes-Sourced Software”): You acknowledge and agree that this Agreement is solely between you and POPVOX, not Apple, and that Apple has no responsibility for the iTunes-Sourced Software or content thereof. Your use of the iTunes-Sourced Software must comply with the App Store Terms of Service. You acknowledge that Apple has no obligation whatsoever to furnish any maintenance and support services with respect to the iTunes-Sourced Software. In the event of any failure of the iTunes-Sourced Software to conform to any applicable warranty, you may notify Apple, and Apple will refund the purchase price for the iTunes-Sourced Software to you; to the maximum extent permitted by applicable law, Apple will have no other warranty obligation whatsoever with respect to the iTunes-Sourced Software, and any other claims, losses, liabilities, damages, costs or expenses attributable to any failure to conform to any warranty will be solely governed by this Agreement and any law applicable to POPVOX as provider of the software. You acknowledge that Apple is not responsible for addressing any claims of you or any third party relating to the iTunes-Sourced Software or your possession and/or use of the iTunes-Sourced Software, including, but not limited to: (i) product liability claims; (ii) any claim that the iTunes-Sourced Software fails to conform to any applicable legal or regulatory requirement; and (iii) claims arising under consumer protection or similar legislation; and all such claims are governed solely by this Agreement and any law applicable to POPVOX as provider of the software. You acknowledge that, in the event of any third party claim that the iTunes-Sourced Software or your possession and use of that iTunes-Sourced Software infringes that third party’s intellectual property rights, POPVOX, not Apple, will be solely responsible for the investigation, defense, settlement and discharge of any such intellectual property infringement claim to the extent required by this Agreement. You and POPVOX acknowledge and agree that Apple, and Apple’s subsidiaries, are third party beneficiaries of this Agreement as relates to your license of the iTunes-Sourced Software, and that, upon your acceptance of the terms and conditions of this Agreement, Apple will have the right (and will be deemed to have accepted the right) to enforce this Agreement as relates to your license of the iTunes-Sourced Software against you as a third party beneficiary thereof. A. Billing Policies. Certain aspects of the Service may be provided for a fee or other charge. If you elect to use paid aspects of the Service, you agree to the pricing and payment terms, as we may update them from time to time. POPVOX may add new services for additional fees and charges, or amend fees and charges for existing services, at any time in its sole discretion. Any change to our pricing or payment terms shall become effective in the billing cycle following notice of such change to you as provided in this Agreement. B. No Refunds. You may cancel POPVOX paid services at any time; however, there are no refunds for cancellation. In the event that POPVOX suspends or terminates your account or this Agreement for your misconduct, you understand and agree that you shall receive no refund for any unused time on a subscription, any license or subscription fees for any portion of the Service, any content or data associated with your account, or for anything else. C. Payment Information; Taxes. All information that you provide in connection with a purchase or transaction or other monetary transaction interaction with the Service must be accurate, complete, and current. You agree to pay all charges incurred by uses of your credit card, debit card, or other payment method used in connection with a purchase or transaction or other monetary transaction interaction with the Service at the prices in effect when such charges are incurred. You will pay any applicable taxes, if any, relating to any such purchases, transactions or other monetary transaction interactions. Since we respect content owner rights, it is POPVOX policy to respond to alleged infringement notices that comply with the Digital Millennium Copyright Act of 1998 (“DMCA”). Please note that this procedure is exclusively for notifying POPVOX and its affiliates that your copyrighted material has been infringed. The preceding requirements are intended to comply with POPVOX rights and obligations under the DMCA, including 17 U.S.C. §512(c), but do not constitute legal advice. It may be advisable to contact an attorney regarding your rights and obligations under the DMCA and other applicable laws. E. No Waiver. No waiver of any term of this Agreement shall be deemed a further or continuing waiver of such term or any other term, and POPVOX failure to assert any right or provision under this Agreement shall not constitute a waiver of such right or provision. Please contact us at info@popvox.com with any questions regarding this Agreement.